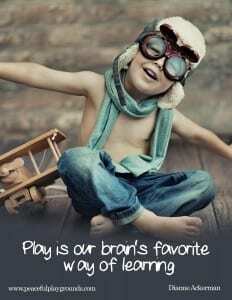 Play is the brain’s favorite way to learn. For another set of children, their unwritten rule about the limits of daily play would have supported the notion of “play” up until “the cows come home”, which by farm standards meant that play had ended because there was work that needed to be done before dinner. Parents then also shared another universal unwritten rule on play, which was practiced in both cities and farms across America, because their verbiage “go out and play”, guaranteed a resulting peace and quiet inside the house. Few would disagree that things have changed drastically. Children today spend significantly less time outdoors than children did say 30 years ago. Rough-and-tumble play reserved for outdoors has given way to sedentary activities on video games or computers. This gives rise to a foreboding question raised in The Greater Good Magazine’s issue on Can We Play? In today’s fast paced knowledge worker society, lies another important question regarding play which will be examined in this article. Grandfather and grandson explore play. An overwhelming body of research on the issue of the importance of play has continued to grow especially recently. From babbling as a baby in the practice of early language development to coed adult slow pitch softball leagues, play is practice for life’s many challenges. Take for example, “follow the leader”. Children learn to lead, follow, cooperate, imitate, plan and negotiate their own conflicts. Or as in the case of adult softball, play is a laboratory for practicing work related skills of teamwork, loyalty, and dedication. Recess contributes to academic success. Children play on playground ladder. The relationship between academics and play appears to be in constant tension, as though adding to one results in taking away from the other. Nothing could be further from the truth. It would appear that recess contributes to academic success in a variety of ways. Contrary to popular opinion, education is not a race. It is faulty reasoning to believe that the sooner children enter into an academic setting the sooner they learn to read, calculate and acquire academic skills, thus gaining a step-up on pint size adversaries. Child development experts and child psychologist agree that children develop readiness for learning most skills through play. Rushing children through instruction that they are not ready for can result in a frustrated child who begins to question their learning abilities and internalize their perceived failings by feeling “less than” the child sitting next to them. The old adage, “success breeds success and failure breeds failure” should not be ignored. Yet, since the No Child Left Behind Act was implemented in 2002, there has been a general focus on academics much to the dismay of the play community. Early childhood programs shifted their emphasis from play, to a more academic curriculum. The result, according to several studies by Kathy Hirsch-Pasek and colleagues, indicates that there has not been an academic advantage in either reading or math for children in these programs. In fact, children dropped into academic settings too soon, show increased test anxiety, were less creative, and displayed more negative attitudes toward school than other children in play oriented preschool environments. Further, by pushing them into certain activities before they are ready, we run the risk of stunting the development of important intellectual, social, or emotional skills in our children. Consider the metaphor of the flower. While it is true we can engineer its early bloom through artificial light, and Miracle Grow type nutrients, the lifespan of the engineered bloom is significantly decreased and undeniably more fragile when compared to a flower grown in the natural environment and allowed the luxury of time. Children too should be afforded this opportunity to unfold naturally without artificial engineering. It is important to acknowledge that play is not meant to be educational. Rather education flows naturally into the environment of a child at play. An overscheduled, overprotected child might seem like a distinctly modern problem, but in fact, the tension between a child’s unstructured play and an adult’s version of child’s play look very different. Children’s play agenda is a never-ending search for “Joy”, while a parent’s play agenda for their child might be lodged in the “get ahead” syndrome. For example, a parent enrolls their young child in a gymnastics class so their child can be the next Nadia Cominici or Mary Lou Retton, rather than because their child loves tumbling. In 1955, with the advent of television in most American homes, play entered into a new arena, Television. 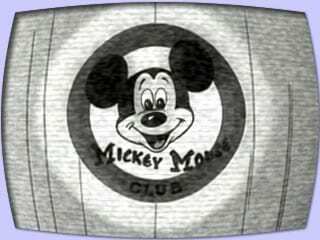 In 1955, the Mickey Mouse Club (MMC) burst on the scene and became the first TV show exclusively for children entertained by children. Mattel, one of the early sponsors of MMC expanded advertising to daily commercials instead of the previous Christmas sales season, and by doing so contributed to an infinitely exploding toy market that even today, continues to expand. You may be wondering what historical significance this has with play? The answer is straight forward. In a nutshell, this was the beginning of children playing with things, rather than playing with each other. Why the decline in play? Technology contributes to keeping children indoors. We know that children naturally play. It is not necessary to “teach” a child to play. Developmentally, play is motivated by pleasure. Play is instinctive and part of the maturational process. 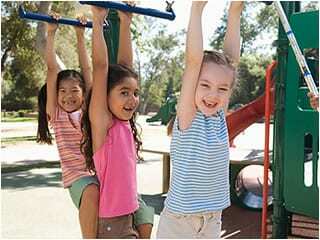 It is the supervising adults that have curtailed the time allotted for self-motivated child play. Another general assumption for the decline in play is a perception that certain neighborhoods are considered “unsafe. ” However, this issue deserves further thought and consideration. An interesting research study examined a national sample of preschool children and mothers’ perceptions of neighborhood safety. While there was a positive relationship between a mom’s perceptions of safety and their children’s TV viewing time, researchers were not able to show a significant link between their outdoor playtime and/or risk for childhood obesity. Parents and other anxious adults may agonize over how to keep children safe and entertained at play. We, as adults, need to learn from the past that youngsters crave and deserve a chance at playtime to do whatever they want to do, create whatever they want to create or generally have the freedom and luxury to do nothing at all. These days, parents are more likely to organize “play dates” where children are supervised by parents, or schedule their child into organized team sport, rather than allowing their children to hang out on the street corner waiting for spontaneous play with neighborhood kids. Play holds the key to a happy and healthy life. We return to our original question, Why Play? First, let’s differentiate the difference between work and play. “Work consists of whatever a body is obliged to do, and Play consists of whatever a body is not obliged to do,” writes Mark Twain in The Adventures of Tom Sawyer. I find myself yearning for the days of Tom Sawyer when leisure antics were the norm for children’s behavior and play was natural, spontaneous, and yes, sometimes mischievous. Recently we, adults and children alike, appear to have lost our motivation to play. With the economy spiraling downward, fear and uncertainty can manifest itself into anger and frustration. Who feels like playing in these uncertain times? 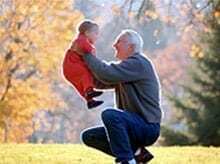 But for children, oblivious to the worlds’ angst and anxieties, let’s not forget as caregivers we can encourage children to go outdoors and play. As childcare workers, we also hold within our power the important ability to balance the time spent indoors and out. Schools and daycare centers can bring back recess and playtime for children by scheduling a minimum of 30 minute break times in the day for fun and unadulterated play. Why play? It is because play is the antidote for depression, isolation, and fearfulness. And it is play that holds the key to leading a happy and healthy life whether we are 1 or 100 and everywhere in-between. Featured Article on the Importance of Play. 1. Elkin, David. Greater Good Newsletter: Can We Play? Greater Good Newsletter, March 1, 2008.